The Accreditation Board for Engineering Education of Korea (ABEEK) invited me to attend the Seoul Accord General Meeting (SAGM2013(Seoul)), Millennium Seoul Hiiton, Seoul, Korea last June 21 to 23, 2013. Most of the proceedings dwelled on correcting sections of the Seoul Accord Documents as presented by the different working groups formed by the signatories in matters of style of presentation. The Seoul Accord Secretariat for the next two years is IEET (Institution of Engineering Education Taiwan). 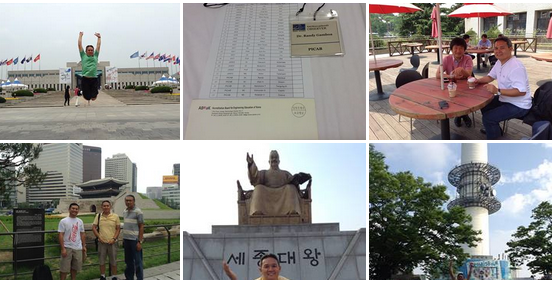 The midterm Seoul Accord meeting (2014) will be held in New Zealand on June 14 and 15, 2014. The Seoul Accord Chair for the next two years in Dr. Joe Turner. The Deputy SA Chair is Dr. Dong Yoon Kim.